Beijing (VNA) – Exchanges and cooperation between the youth are a foundation for China-Vietnam relations, Vice President of China Li Yuanchao told a delegation of the Ho Chi Minh Communist Youth Union (HCYU) Central Committee on May 22. Receiving the Vietnamese delegation in Beijing, led by Le Quoc Phong, First Secretary of the HCYU Central Committee and President of the Vietnam Students’ Association, Vice President Li welcomed their participation in the 17th China-Vietnam youth friendship meeting. He applauded the cooperation between the HCYU and the Communist Youth League (CYL) of China, asking them to continue exchange and experience sharing, thereby fostering bilateral cooperation. Phong voiced his hope that leaders of the two Parties and countries will continue creating favourable conditions for exchange and cooperation activities between the HCYU and CYL Central Committees. He also expected that those activities will become more practical, thus greatly contributing to the Vietnam-China comprehensive strategic cooperative partnership. Earlier the same day, the Vietnamese delegation met with Zheng Xiaosong, deputy head of the International Liaison Department of the Communist Party of China Central Committee. 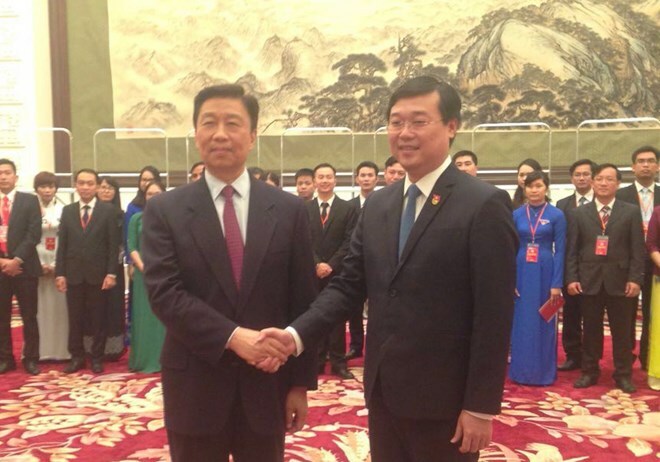 Zheng affirmed that as the Chinese side attaches importance to enhancing relations between the two Parties and States, it will keep promoting exchanges and experience sharing so as to assist Vietnam in personnel training and learn from the country’s experience in youth-related works. Phong informed the hosts about outstanding activities of the HCYU and thanked China’s International Liaison Department for supporting bilateral ties, as well as youth exchanges. Both sides noted with satisfaction mutual visits by the countries’ senior leaders since the beginning of 2017, adding that regular trips will help intensify bilateral ties, including youth exchanges.